There are many advantages to registering a commercial vessel in the British Virgin Islands (BVI). Among those advantages are low initial registration fees and annual maintenance fees. 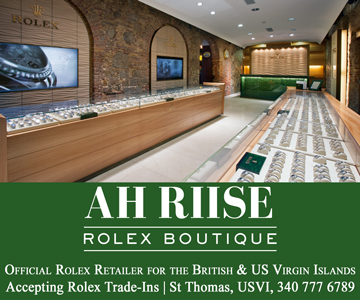 Registered ownership is permitted to citizens of and companies registered in the BVI, the United Kingdom, and its Crown Dependencies and Overseas Territories, the European Union and European Economic Area, and the member states of the Caribbean Community and the Organisation of Eastern Caribbean States. The BVI is a member of the British Red Ensign Group and vessels flying the Red Ensign Flag are entitled to the protection of the Royal Navy. The BVI has its own full survey and certification resources and also has access to the range of technical expertise of the UK Maritime and Coastguard Agency. The process of registering commercial vessels begins with reserving the name of the vessel at one of the available ports of registry, which are Road Harbour, Gorda Sound, and White Bay. A name can be reserved for up to 180 days by paying a fee of $50 to the Virgin Islands Shipping Registry. The Certificate of Survey is usually sent by the surveyor directly to the Shipping Registry. The Certificate should be prepared by a certified surveyor from one of the approved classification societies being Lloyds Register of Shipping, Bureau de Veritas, Det Norske Beritas, Germanischer Lloyds, American Bureau of Shipping, Registro Italiano Navale and Class Nk. The surveyor must otherwise be MCA or IMO-accredited. In cases where the proposed surveyor does not fall within the authorised categories, a copy of the surveyor’s resume would need to be submitted to the Registrar of Ships so that the surveyor’s suitability can be assessed. A vessel registered for commercial use must meet a standard of safety requirements depending on the size of the vessel and the intended number of passengers it will carry. A vessel less than 24 metres in length must be compliant with the Code of Safety for Small Commercial Vessels operating in the Caribbean. If such a certification is made by a surveyor—following a satisfactory inspection of the vessel—the Shipping Registry will issue a Certificate of Inspection in respect of the vessel. The Certificate of Inspection remains valid for a period not exceeding one year for vessels carrying more than 12 passengers on international voyages and not exceeding five years for all other vessels from the date of inspection. All other vessels used for commercial purposes will be inspected by the Shipping Registry and if the safety requirements are satisfied, a Commercial Certificate will be issued prior to the vessel being registered. When all the required documents are compiled, an application is made to the Shipping Registry. Once the Registrar of Ships is satisfied that the requirements for registration have been met, the Registrar will issue a Marking and Carving Note for the vessel. The Note provides detailed instructions on how the name, official number, and the port of registry of the vessel are to be marked on the vessel. The Note must be signed and returned to the Shipping Registry in order to demonstrate compliance with the marking instructions. On receipt of the Note duly signed, the Registrar will issue the Certificate of British Registry/Blue Book for the vessel. All BVI registered vessels must obtain a ship station licence and a radio operator telecommunications licence by submitting an application to the Telecommunications Regulatory Commission and paying the associated fees of $30 and $10 respectively. Persons seeking to register commercial vessels in the BVI should also be aware of the fees associated with registering vessels for commercial purposes. The fees are based on the size and type of the vessel. Government fees for vessels less than 24 metres in length include the registration fee which is $750 and the annual maintenance fee which is $250. If the vessel is less than 500 Gross Tonnage, the registration fee is $750 and the annual maintenance fee is $300. If the vessel is between 500GT – 1000GT, the registration fee is $1000 with an annual maintenance fee of $500, and if the vessel is between 1000GT – 3000GT the registration fee is $1500 and the annual maintenance fee is $1000. The Shipping Registry does not issue reminders to pay annual fees, so vessel owners must remember to pay. Although the process of registering commercial vessels in the BVI is fairly straightforward, it is often more convenient to instruct a shipping lawyer who is more familiar with the procedure to assist with preparing the documents and administering the annual renewal of the relevant licenses and payment of fees. Harneys’ Private Client team regularly advises clients on the acquisition of BVI real estate, including devising ownership structures to satisfy the tax, regulatory, succession planning and other needs of each client. For more information on these solutions or any other matters relating to acquiring property, a yacht, registering a business, or planning for future generations, please contact Sheila George, Johann Henry or Paul Mellor.